Amb. Artur Kuko is an Albanian diplomat and a former Permanent Representative of Albania to NATO. The Ambassador graduated from the University of Tirana with a degree in Political Science and he did his Post Graduate studies in International Relations. Amb. Kuko holds a Master’s Degree in European Studies from the Catholic University of Leuven and speaks English, Italian and French. 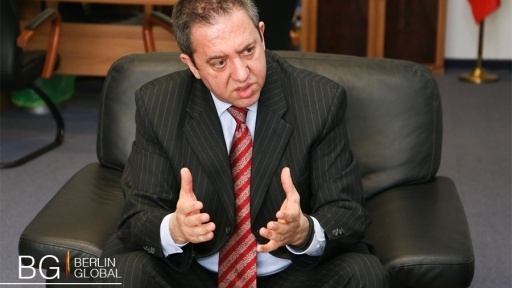 He worked as a researcher from 1987–1990 at the Research Institute of International Studies in Tirana, Albania and from 1991-1992 he served as Director of the Department of European Affairs at the Ministry of Foreign Affairs of Albania. He served as Ambassador to Belgium and Luxembourg from 1992 to 1994 and again from 2002 to 2007. He also served as the Ambassador of Albania to the European Union from 1992 to 1997 and again in 2007. From 2000-2002 he was the General Director, General Department of Euro-Atlantic at the Ministry of Foreign Affairs. Diplomatic relations between Germany and Albania were first officially established in 1986. Since Albania launched its democratization process in 1991, relations between the two have steadily improved further. German-Albanian relations are close and characterized by a spirit of partnership. Albania is a partner country of German development cooperation. It is in Germany’s interest to help promote stability, democracy and the rule of law in Albania and across the region by supporting the country’s transformation process. Albania’s Stabilization and Association Agreement with the European Union, which was signed in 2006, gives the country a reliable European perspective. Germany supported Albania’s accession to NATO, which took place in 2009 at the NATO summit in Strasbourg and Kehl. In December 2010, the visa liberalization regime for travel to the Schengen Area took effect. This enables Albanian nationals in possession of a biometric passport to travel to the Schengen Area and stay there for up to three months without a visa being required this has ensured that relations between the two continue to improve. The granting of EU candidate status to Albania in June 2014, was a move supported by Germany, which means that the country has taken a major step forward towards the goal of EU accession, which is firmly pursued by all the relevant political forces in Albania. Germany is the sixth largest investor in Albania with annual direct investment in the lower double-digit million range.